As we get closer and closer to ClarinetFest® 2019, we’re excited to share more information about the festival each week! This week, we want to introduce you to the absolutely stunning, historic Tennessee Theatre, the location for the festival’s evening orchestra concert with the Knoxville Symphony Orchestra and our outstanding soloists. The Tennessee Theatre first opened on October 1, 1928, as an entertainment and movie palace. When it opened, black and white films could be enjoyed for the steep price of 60 cents for an evening film. Known for its elaborate decor, the theatre uses a combination of many different architectural styles including a distinct Spanish-Moorish style with elements taken from many other parts of the world. Every single element of the design was purposeful but unique, making for a true feast for the eyes. Over time the Tennessee Theatre fell in to disrepair. The Historic Tennessee Theatre Foundation, a non-profit organization, was founded in 1996 with the goal of restoring and renovating the theatre to make it a true performing arts venue and return it to its original glory. After a full renovation, the theatre reopened in 2005. 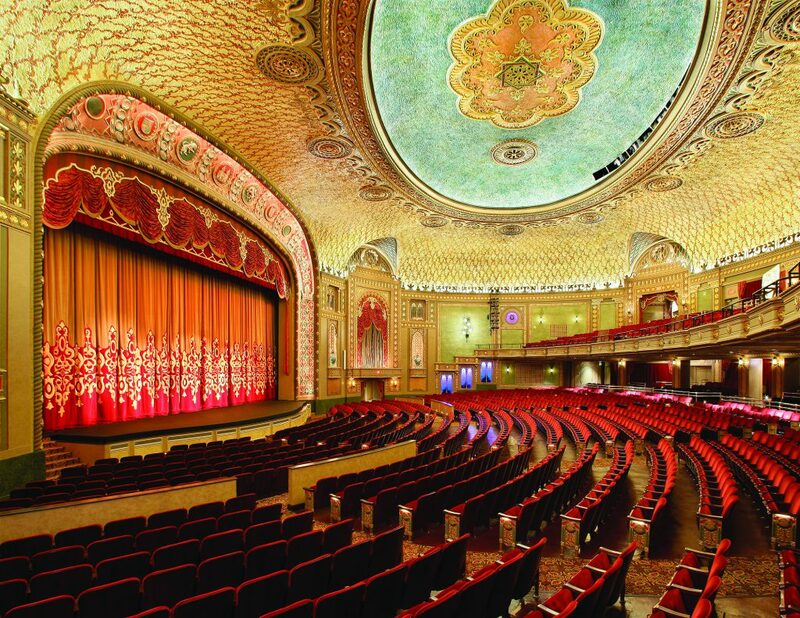 Now, the Tennessee Theatre has been named the Official State Theatre of the State of Tennessee, and thanks to its renovations, is able to play host to a wider variety of events including performances by the Knoxville Symphony Orchestra, the Knoxville Opera, broadway musicals, ballets and more. For more information about the Tennessee Theatre, please visit https://www.tennesseetheatre.com. The ICA can’t wait to share this venue with our members. It promises to be a night to remember. Stay tuned for a preview of the wonderful artists and works that will be featured on this evening concert! For a deeper look at the Tennessee Theatre, click the video player below! This video features a 360 degree look inside the Theatre. To use the 360 degree function, use your mouse or finger to click the directional pad in the top left corner of the video.